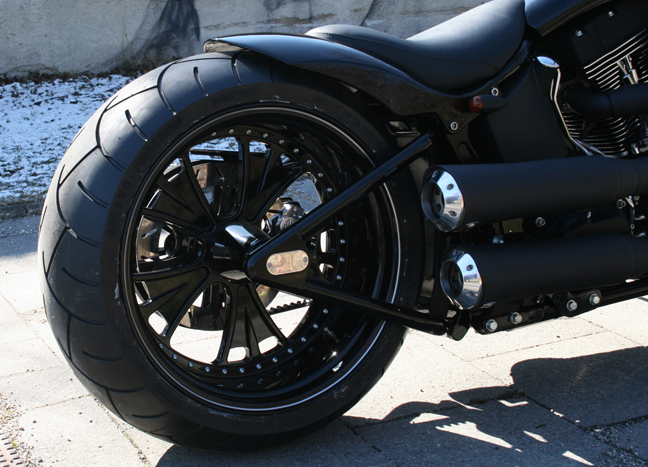 Our 330 tire motorcycle swingarm kits are bolt on replacements for the stock 2000-06 Harley Softail swing arms and they enable you to mount a 330 tire on your stock Twin Cam Softail without doing any modifications to the frame. These 330 tire motorcycle swingarm kits can be installed only in conjunction with a 20mm secondary belt and can fit up to 12” wide rims. 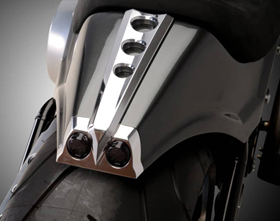 Thanks to this innovative wide swingarm you will be able to mount a super-wide rear tire, without any modifications to your stock frame, still keeping front and rear wheels properly lined up for safe riding and great handling. 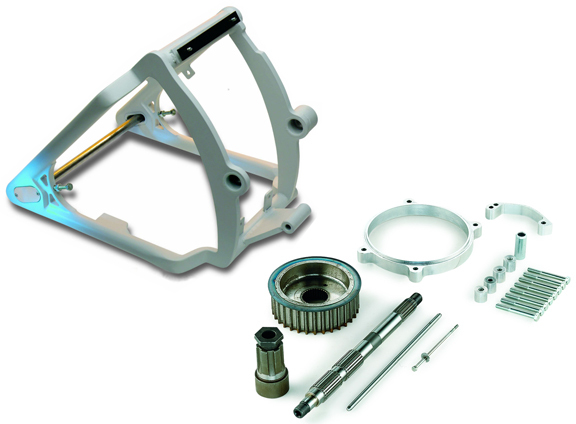 Kit includes swingarm, axles and all necessary components for the primary offset. 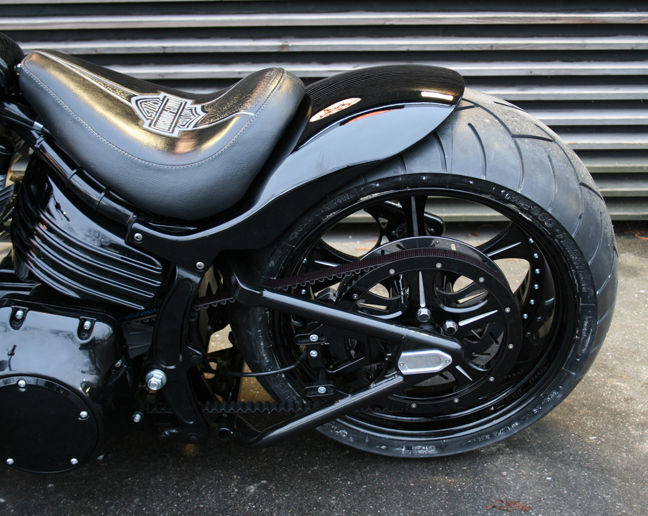 NOTE: kit does not include belt, wheels, rear pulley, brake calipers, rotors, tires or rear fender. I’m looking to put a 330 kit on my 06 night train and was wondering if you could give me some advice? Is it possible for 1 of your kits to fit straight on? 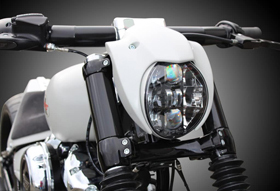 Thank you for your interest in Eurocomponents’ 330 Tire Motorcycle Swingarm Conversion Kits. 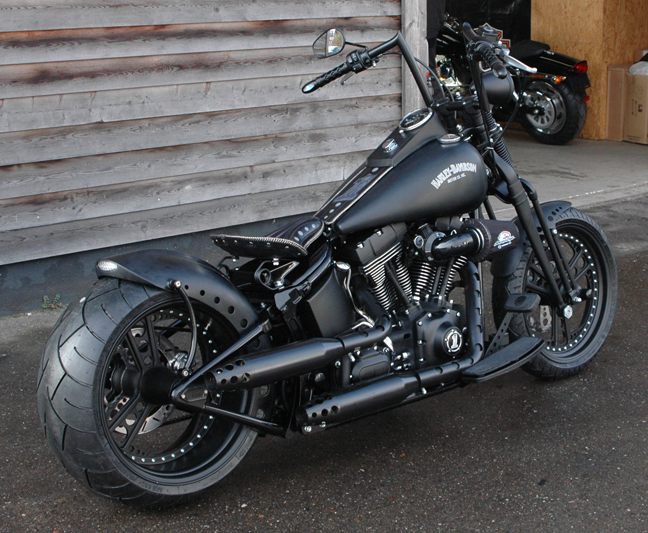 Yes, our swingarm and offset kit can fit your 2006 Harley Night Train, no problem. 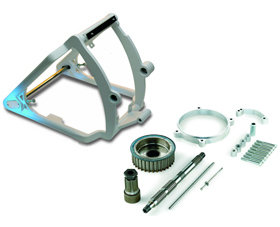 All of our swingarm kits are bolt-on parts. Please let us know if we can be of further help.